IL-EMPOWER - ECRA Group Inc.
ECRA Group (ECRA) is honored and excited to be chosen by the Illinois State Board of Education (ISBE) to be an IL-EMPOWER professional learning partner to support Illinois schools in the area of Governance and Management, Curriculum and Instruction, and Climate and Culture. ECRA has a 30-year history supporting school improvement efforts in Illinois. We work collaboratively with Illinois state associations, regional offices of education, and other school improvement organizations. Over the past three years, ECRA has supported many Illinois school districts on school improvement related activities, reaching over 1,000 schools and indirectly impacting 750,000 Illinois students. 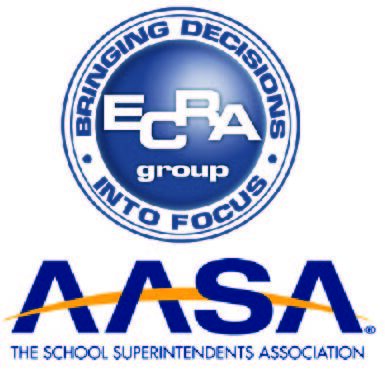 ECRA assists boards of education and educational leaders improve student outcomes by adopting more evidence-based practices. By focusing on leadership, planning, and analytics, ECRA helps ensure energy and resources are directed toward what truly matters for students. Partnering with ECRA guarantees that certain systems will be implemented and delivered. While ECRA group works collaboratively and interactively with your teams, we do so with a clear goal and deliverable in mind. With ECRA, the process always delivers a work product that advances district priorities and satisfies reporting mandates. ECRA’s approach aligns district strategic goals, with school improvement plans, and the monitoring of student growth. We help districts organize all their improvement efforts so resources, time, and energy are not duplicated. ECRA’s service delivery teams work with school boards and administrators to develop a systemic performance management system that aligns board goals, the district strategic plan, school improvement plans, and student outcomes. We value our school partnerships and we look forward to continuing our mission as part of the IL-EMPOWER partner network.